Dangling Sterling Silver or 14k Puppy Paw® Scissor Earrings. Birthstone crystals can be added to these earrings just let me know. P.S.one would also make a terrific Tie Tac. 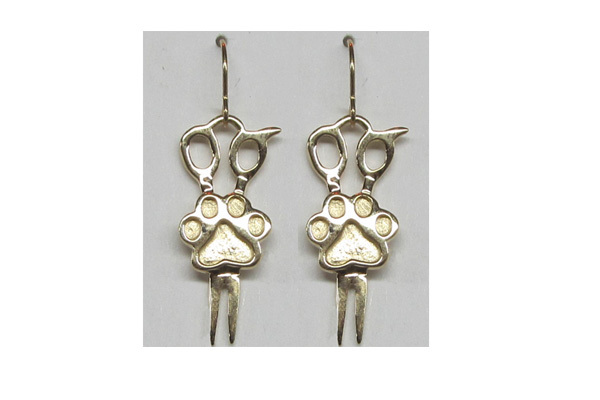 14k white gold Puppy Paw® Scissor Earrings are available upon request.